Judgment Detox, and get a free online workshop! Judgment Detox is a clear, proactive, step-by-step program that helps you heal judgment and rediscover your oneness with others. When you follow the 6-step practice, resentments lift and compassion replaces attack. Resistance transforms into freedom, giving you more peace and happiness than you’ve ever known. Your energetic shift clears space for more miracles on a global scale. Not only will you experience massive abundance — you’ll help heal the world, too. 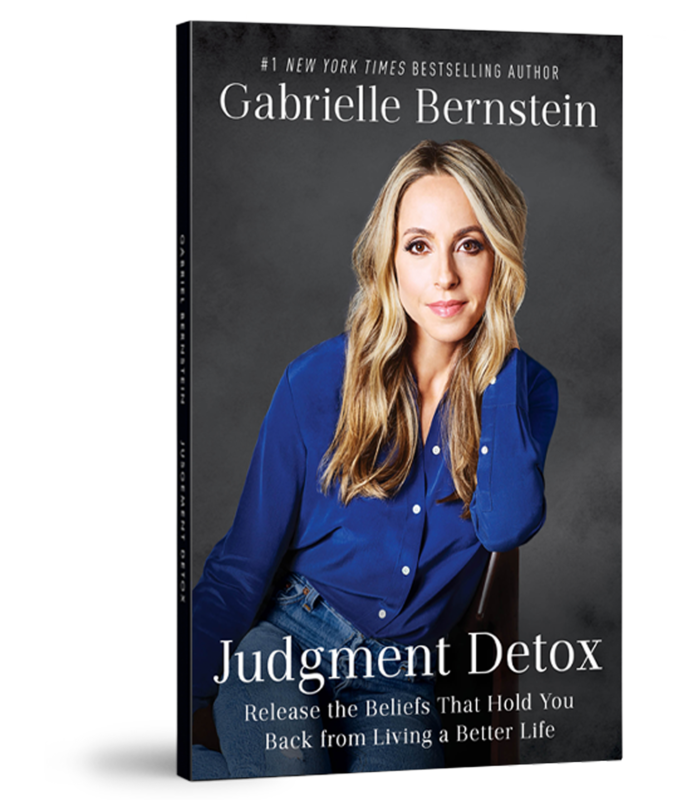 Order Judgment Detox and get free access to my online manifesting workshop! This 2-hour online workshop is valued at $149, but it's completely FREE when you order Judgment Detox. Plus you get lifetime access to this transformational content! 1 Click one of the bookseller links to order the book (all booksellers are eligible for this bonus). 2 Copy your receipt # and head back to this page. 3 Submit the form below to secure your access to my online manifesting workshop! Are there big things you want to attract into your life? A romantic partner, more abundance, your dream job? Does it seem like whenever you get close to manifesting what you want, it all just falls apart? If you could stop trying to control outcomes, “making” things happen or obsessing over the when? Let Good Things Come to You Easily With My Online Manifesting Workshop!